Fairleads with plunger and cam cleat for use on 20mm 'T' track, Sold in handed pairs. Includes budget cam cleat fixed on stainless steel plate. 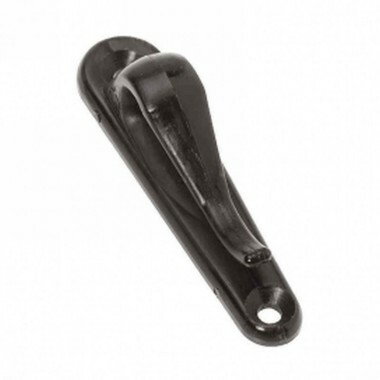 Spinnaker fairlead is a moulded plastic sheet fairlead with snap in/out hook design.